Submitted by Christina Fox on Mon, 3 Feb 2014 - 18:02. 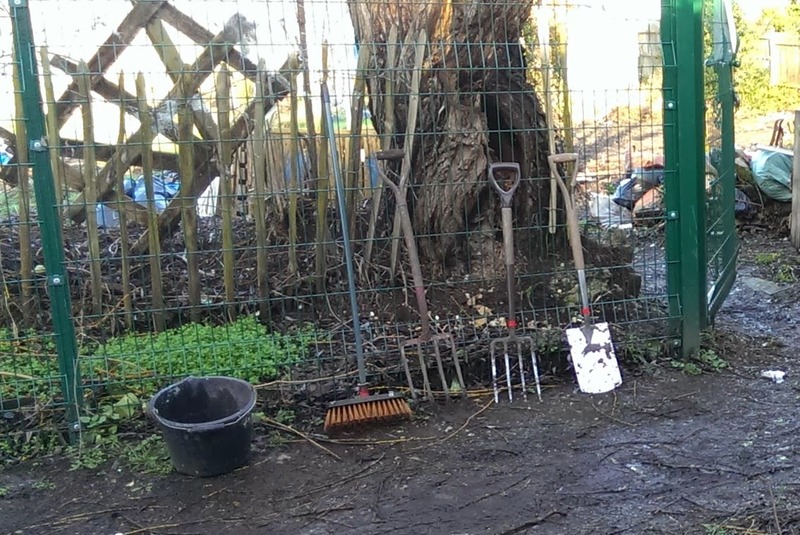 On Saturday morning (1st February) a group of Northfield allotment plot holders and local residents got together to put a plan into action. Luck was with them because the sun shone - not a drop of rain fell all morning. Rubbish had to be cleared, muddy paths made clean and a new meadow created for Ealing. 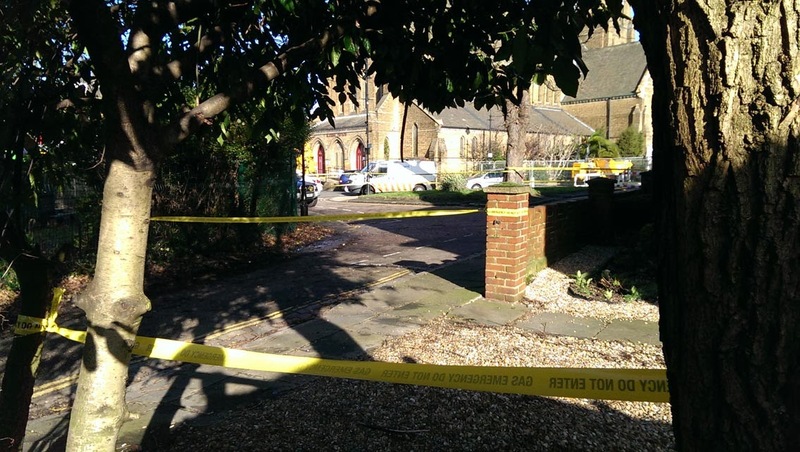 There was a major gas leak in Mattock lane - but that wasn't going to stop us. So, everyone knows what to do. you never know what treasures you'll find! move aside - what's going on here? ...a stiff brush and some elbow grease. Please come for a walk down the path - maybe just once a week. Keep looking and soon you'll see seedlings and then flowers. We hope you enjoy the wildflower meadow everyone created on the 1st of February. 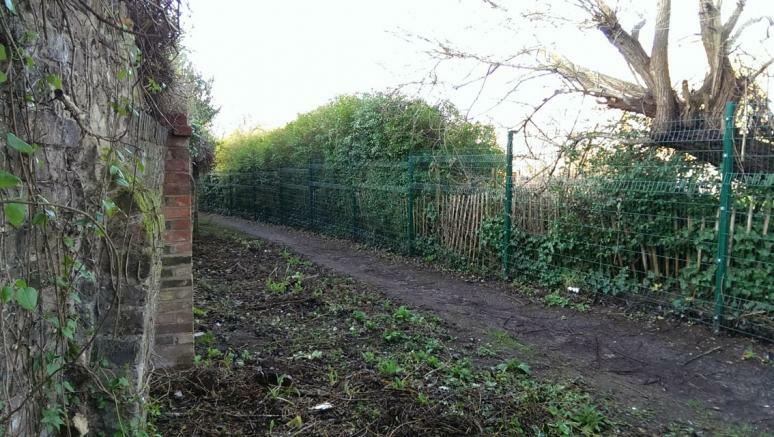 Our plan is to transform this unloved walk into a place you will want to visit rather than just use as a shortcut.We still have loads more to do. 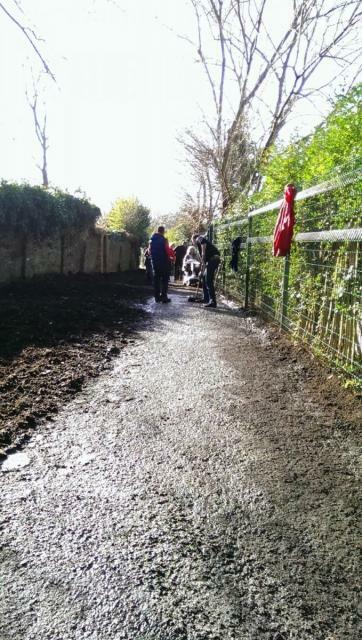 If you would like to get involved the next working party is on Saturday 1st March 2014. 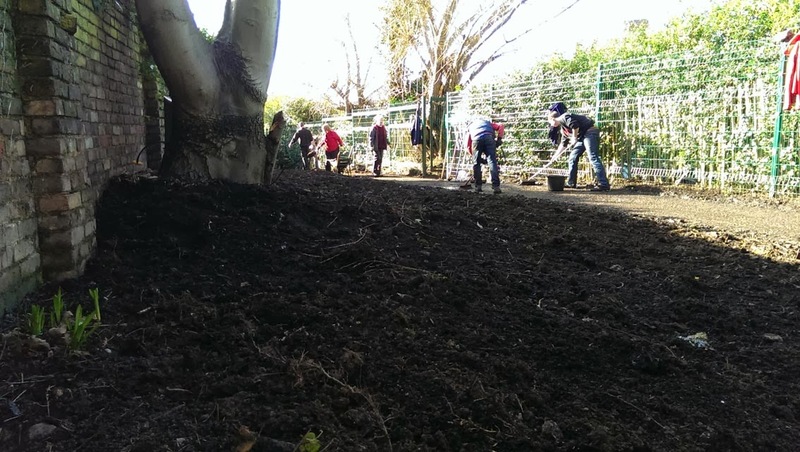 The plan for the next section of Radbourne Walk is to build a loggery to help our stag beetles.